Because creation is beautiful, we know that the Being who created it must be beautiful as well. And not only this, but He is perfection of beauty, for to be able to create something, the Creator must be greater than His creation. There must be something or Someone that is the epitome of beauty in order for the lesser existence of beauty in the world. Thoughts inspired by reading: Because God is beauty and God created living creatures and beautiful things, God is in beautiful things, for when you create something, part of who you are is echoed and a part of that created thing. You cannot make something that does not in some way reflect who you are. 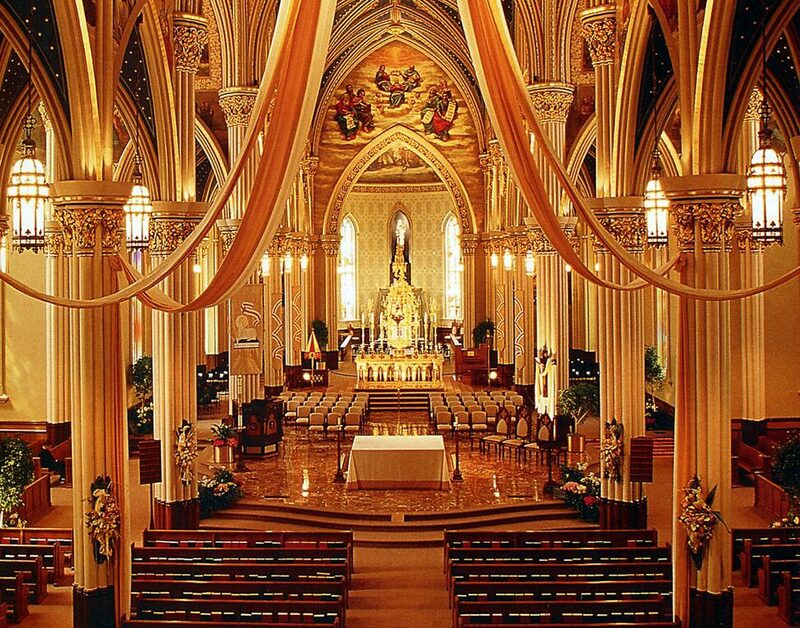 Therefore, beautiful art in churches and beautiful churches themselves have God in them to a certain degree. Art is beneficial for the well-being of society. Art is a gateway to faith, and it reflects the mystery of God. God is beauty, so art that is truly beautiful is of God. Thoughts: This truly beautiful art should be in churches. In this way, art presents to people an aspect of God that is necessary for a more complete understanding of Him. Article from Letter Of His Holiness Pope John Paul II To Artists. These chapters detail the specifications God gave to Moses in order to build, “…a sanctuary for [God], that [He] may dwell in [the Israelites’] midst.” Among the things God told them to use was gold, gems, and elaborately embroidered fabric. This sanctuary was the Ark of the Covenant. This is evidence that God approves of us using very expensive items to build sanctuaries for Him. A Church is a sanctuary, so this excerpt supports that God has approved of using money to make a beautiful church in some cases. Citation: The New American Bible. Revised ed., Confraternity of Christian Doctorine, Inc., 2010.